A few weeks ago the internet was in an uproar after it was reported that Facebook data had been used to manipulate political campaigns. As the days progressed keyboard warriors went on a rampage over Facebook “selling data”. Hold up. A data mining firm called Cambridge Analytica developed an app called “This is Your Digital Life”. The app appeared to be one of those online quizzes we’ve all done as a fun distraction. The app was able to gather info from unsuspecting individuals. That info was then used to build psychological profiles on a percentage of US voters and ultimately used to manipulate voting patterns and election results. And yes, the Trump campaign is linked to this. Though they’re attempting to deny ever using the data. Keep in mind that when you do one of these Facebook quizzes, users are prompted to give the app permission to access their accounts as well as data from their Facebook friends. In fact, any time you sign in to a website or app via your Facebook profile you’re asked similar questions. If you approve the app is able to scrape certain data from your account. My friend Jade ran a test on my blog to show how easy it is to hand over your data without even realising it. 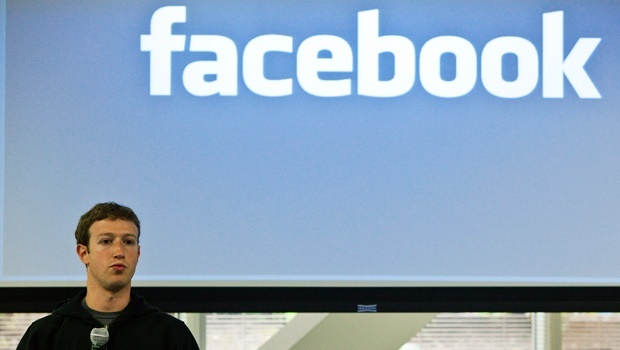 Facebook doesn’t have a pretty black book with your profile on display that someone can buy. That would be silly. What they do have is targeted advertising groups that include you. Facebook has received a lot of heat in the last few weeks for this. Most notably when Elon Musk announced he was deleting his Facebook account and linked Facebook pages. Well if Musk is doing it everyone should, right? Musk didn’t delete his Instagram account though. Instagram is owned by Facebook. So is Whatsapp. Plus records of Musk and your data is already out there, even if you did follow the #DeleteFacebook trend. Facebook didn’t “sell” data. Users who opted to give the app access to their information ultimately did that. Yes, there is an issue with the social media’s IP allowing such a free flow of personal information to third parties. But if you opt in, best you know what you’re opting in for. Facebook isn’t the only one you need to be worried about. Google, Amazon, Uber, shopping apps, Instagram - they all have access to personal information that is used by third parties. They don’t “sell” your data, but they do sell you. You could delete Facebook. But then you’ll need to delete almost every other app on your phone, stop using Google and other sites altogether and ultimately just get the hell off the internet. Let me explain: Facebook doesn’t have a pretty black book with your profile on display that someone can buy. That would be silly. What they do have is targeted advertising groups that include you. As a business owner you’re able to go to Facebook and say I’d like to reach females in Johannesburg who are moms, managers and are between the ages of 24 and 30. Facebook is then able to group you and others together based on information you’ve supplied. The business owner then pays Facebook who shows you adverts and content from said owner. The owner doesn’t know your name or the date you got married. They cannot see that. But they can access how you engage with their content (whether you click the link, like the post or comment). They can go back to Facebook and ask to show you and your group more content. They can also use Facebook and Google to “track” you on the internet. Using pixels and cookies they’ll be able to see when you click on their links, visit their site and see what pages you visited. They can then choose to go to Facebook and say “show all the people who visited this page on my site an ad.” They’ll do the same with Google. They’re not necessarily spying on you specifically but rather a group. Facebook isn’t selling your data per say, because that wouldn’t make business sense. But they are selling access to YOU. A fellow blogger has gone in to more detail and explained how this all works if you’d like a better understanding. You can read that post here. READ MORE: Could you go back to your old phone if it was rebooted? Before authorising apps to access information, check what you’re giving them access to. So how do I stop this? Every time you sign in to an app or website you’re giving them access to data. Every quiz you take online is giving someone access to data. You don’t need to sign in with social media accounts every time. If you’re being asked to authorise usage for a third party via a social app, maybe rethink using the site or service you’re on. Uber, Google Maps and even checking weather online all require access to your data to locate you and give you the information you require. You’re giving these services insight in to your movements and access to other data. If you don’t feel comfortable with that then head to settings on your device and turn location services off. Just say goodbye to useful directions and be sure to have some spare cash available to buy a dedicated GPS service for your car. Most companies track you via unique IDs that they put in to cookies. This means a website you visit can recognise you when you return (like automatic sign ins on Facebook). Phones have an ID service embedded in to their software. You can mitigate how much you’re tracked by clearing cookies regularly and using a private browser mode. It won’t stop it completely but it will help. On your phone simply reset the device ID and opt for advertisers not to track you. There are plugins available for your browser as well but they require you to sign in and provide data to stop sharing your data. So much of a muchness. You have a unique IP address which can be accessed and tracked every time you visit a website (signing in or not). This IP address allows smart companies to track how you operate on the internet and ultimately collect data on your browsing habits. You can try hide this by using a Virtual Private Network (VPN) but it will slow down your performance and it costs more money. You can also avoid signing in to specific services to try circumnavigate IP address tracking. So there really is no solution? If you don’t want any of your data collected on the internet don’t go on the internet. However, this isn’t all doom and gloom. Just remember to read the fine print every time you sign up to a service or app. Facebook, since the data debacle, has made changes to their IP to try stop what occurred from happening again. But keep up to date with these changes so you’re aware of what is and isn’t being made available. It seems like the obvious solution but it really comes down to being more aware of what you’re doing, submitting and using on the net… and maybe stop doing those time wasting quizzes at work. Check out TechGirl.co.za and follow Sam on Twitter.